Franklin County homeowners now have a cheaper and less time consuming way to resolve property tax valuation disputes- Mediation. “Franklin County's mediation program to resolve property value disputes is the first of its kind in the state of Ohio. The program began on June 4, 2013. Mediation is an opportunity in which an individual (mediator) facilitates communication and negotiation between parties to assist them in reaching a voluntary agreement regarding their dispute. This procedure is outside of the hearing process for the Board of Revision. However, the Board of Revision must approve any stipulation which is reached in mediation. The basic idea for this program is to conduct the mediations by phone for the convenience of the complainant. It is our goal that your case will be resolved quicker than the standard Board of Revision process. The complainant, a mediation representative from the Franklin County Auditor's Office and the mediator will typically be the individuals involved in the mediation. If the respective school board becomes involved in the mediation they will become another party. The mediator does not take sides. The mediator helps the parties work through case issues and reach an agreement. The mediator is not a judge. A typical mediation session will last about 20 minutes. The issues are typically not that complicated and oftentimes revolve around agreement on a valuation amount for a parcel of real estate. The primary focus area for negotiation is the market value of the parcel of property which can be agreed by the complainant. The agreement is then sent to the Board of Revision for approval. Usually the complainant's attendance is not required for approval. 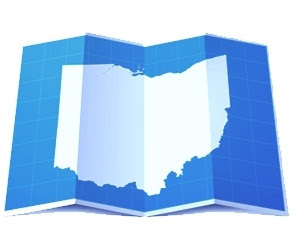 Cuyahoga and other Ohio counties do provide an informal hearing with officials upon a new valuation triennial, but have yet to adopt, to this author’s knowledge, a program like Franklin County’s mediation program. According to Stephanie Beougher in her 9/11/13 Blog article entitled ‘Homeowners Take Advantage of Mediation Program’ ( http://www.courtnewsohio.gov ), Franklin County’s program was designed using a format similar to the Supreme Court of Ohio’s Foreclosure Mediation Program Model, and the goal of the Supreme Court of Ohio is to make this tax valuation mediation program a model program, and then share it with other counties and states interested in providing mediation as an option for property owners. Franklin County property owners who would like more information about the mediation program should call 614.525.HOME (4663). Sounds like a good plan. We run into some issues with this sort of thing on Hilton Head Island once in a while with folks having a tough time with the process.